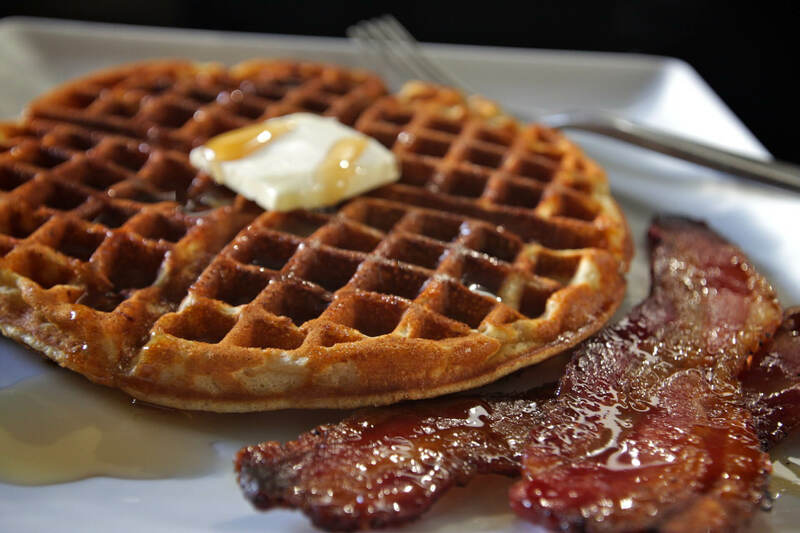 Easy Belgian waffle recipe! The best basic recipe for Belgian Waffles, includes tips and an easy to follow, step by step guide for you to make at home. The ultimate, foolproof way for even beginners to make delicious, light, fluffy Belgian waffles in their own kitchen- quickly, easily and without fuss. You need to melt your butter so that it will be ready to use when you want it. If not using the microwave, put a saucepan with about 1 inch of water on the stove to boil. Now, switch on your Belgian waffle so that it will be nice and hot and your waffles won't stick. Turn the saucepan of water down to simmer and place butter in heatproof bowl or jug. Set in simmering water for 2 minutes to melt butter. Alternatively, you can melt butter by microwaving for 30 seconds on full power - again using a microwave safe bowl or jug. Get a large mixing bowl. Thoroughly mix ALL the DRY INGREDIENTS together by passing through a sieve a couple of times and stirring well. Get your other large mixing bowl and break 2 eggs into it. Use a hand held beater or balloon whisk to beat eggs till they are pale yellow and fluffy looking. Add milk and keep beating till mixed really well. Pour your melted butter into the milk and egg mixture and beat some more till it's mixed in well. Add vanilla extract now if you're using it. Now pour your DRY INGREDIENTS on to the WET INGREDIENTS. Use the beater or whisk to mix together. You don't need to beat hard; just mix till the ingredients are combined and you can't see any obvious lumps. The surface of the mixture might have air bubbles or look foamy, this is normal and you don't need to do any more beating. Lightly coat your hot Belgian waffle irons with cooking spray. 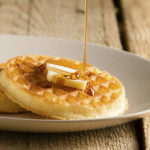 Using a large spoon or small jug, place about 1/10th of your mixture on the center of your waffle irons and close. Cook according to manufacturer's instructions or till your Belgian waffles are just beginning to brown around the edges. Repeat this step 9 more times till your mixture is used up. 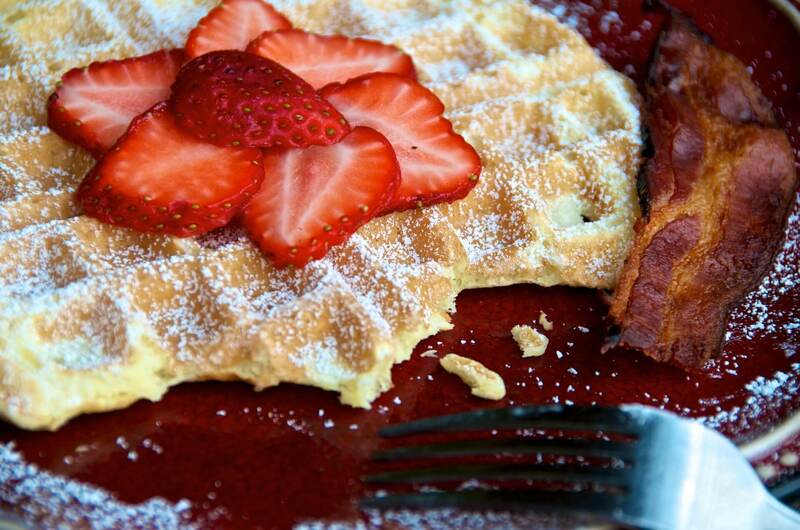 Serve your Belgian waffles freshly cooked with the topping of your choice. Try to have all your ingredients at room temperature before you begin - it makes them easier to mix. Be sure to plug in your waffle iron before you start mixing your ingredients. You want it to be nice and hot. Avoid removing your Belgian waffles from the waffle iron too soon. They should be light and golden, just starting to brown a little on the edges and on the edges of the squares. Don't want to make 10 Belgian waffles in one go? This mixture keeps well in the fridge for up to 1 week if you cover it properly. Just be sure to whisk it well before use. * Optional means that's it's up to you if you want to add these ingredients. 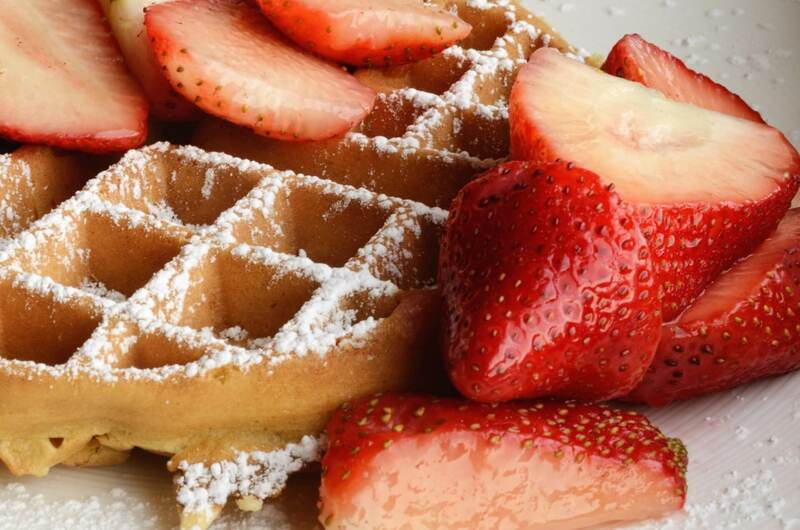 Some people think that salt helps to bring the flavor out, and other people like vanilla - especially if they want sweeter tasting Belgian waffles. ** To melt butter if using the stove top. Alternatively you can use the microwave.